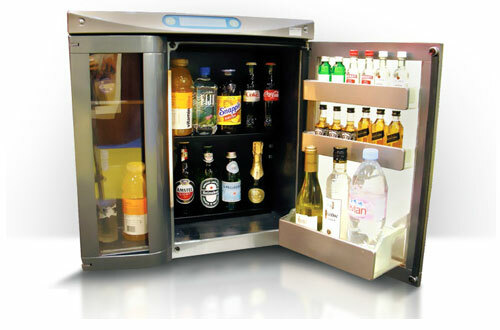 Vertex was selected to design the new Plasma Mini Bar product line. This design needed to accommodate the trend of replacing old fashioned deep hotel room credenzas with the new shallow credenza designs able to accommodate wall mount and flat screen TVs. 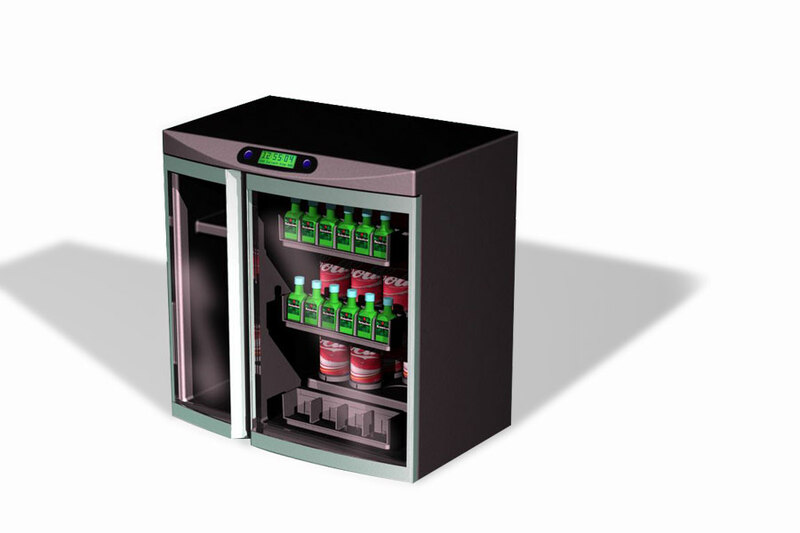 Vertex’s team explored ways of reorganizing the minibar backend section to reduce depth and increase cooling efficiency, without compromising the cooling chamber’s volume capacity. In addition, Vertex electrical engineering assisted the client with wireless communication board design and product tracking sensors able to remotely monitor stock supply to manage billing when checkout guests.